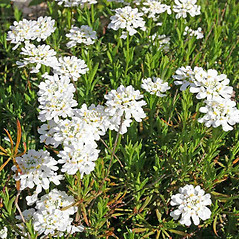 Globe candytuft is native to Europe and is an occasional escapee from gardens in North America. 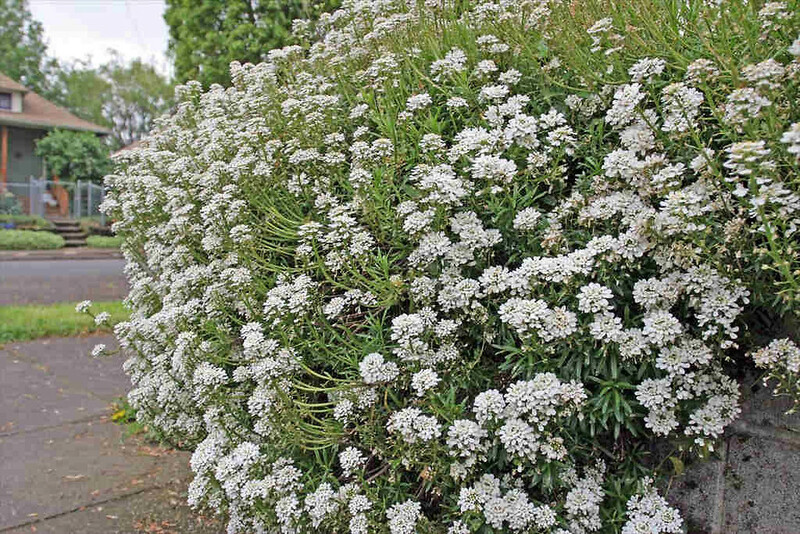 It is grown as an ornamental garden annual. It has been collected in gardens, railroads and waste areas in Maine and New Hampshire. 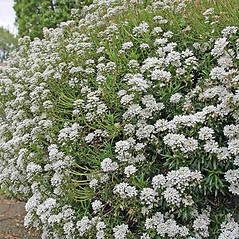 plants perennial, with evergreen leaves; petals white or sometimes tinged with lilac (vs. 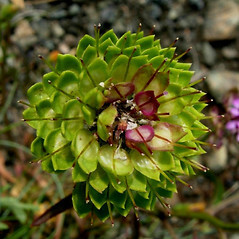 I. umbellata, with plants annual, with deciduous leaves, and petals pink to purple). leaf blades usually with few and distant, irregular, large teeth, siliques 3–5 mm long, and stems hirsute, at least on the lower portion (vs. 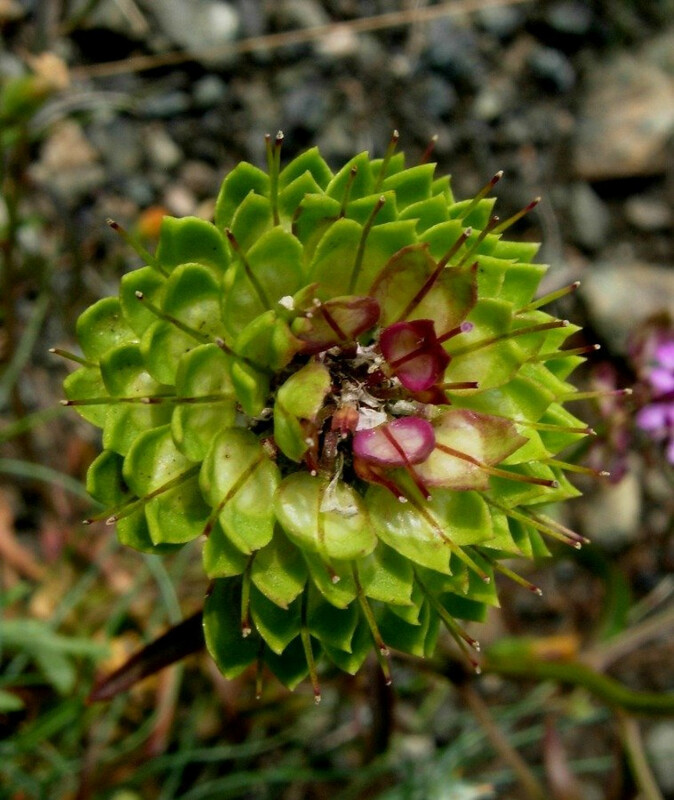 I. umbellata, with leaf blades entire or nearly so, siliques mostly 5.5–7 mm long, and stems glabrous). 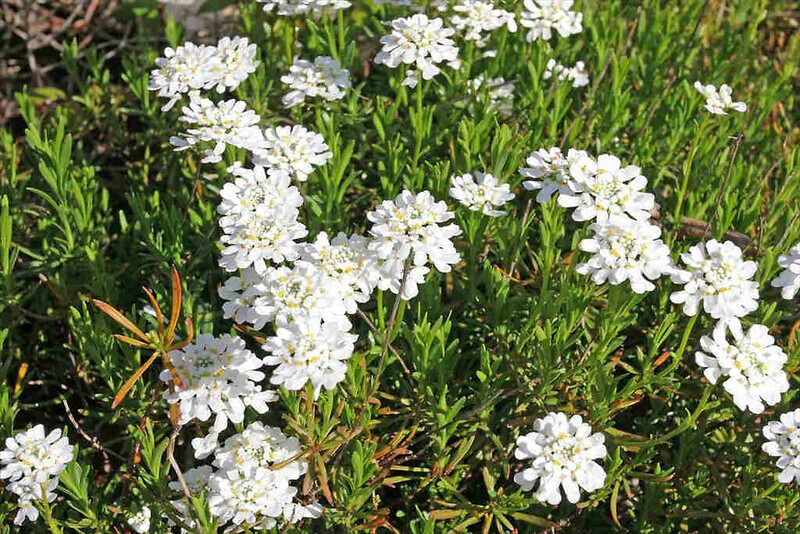 globe candytuft. ME, NH. Gardens, railroads, waste areas.